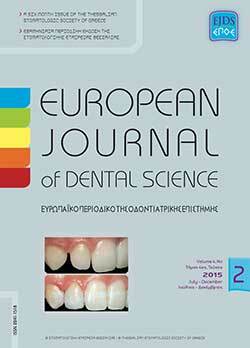 Authors submit their paper to the European Journal of Dental Science with the understanding that their paper will be made freely available online immediately upon publication. After the manuscript is accepted the corresponding author will be required to accept a mandatory licence to publish agreement. The manuscript is not longer than 2500 words (each version), including figure legends and references. Longer articles will not be accepted.